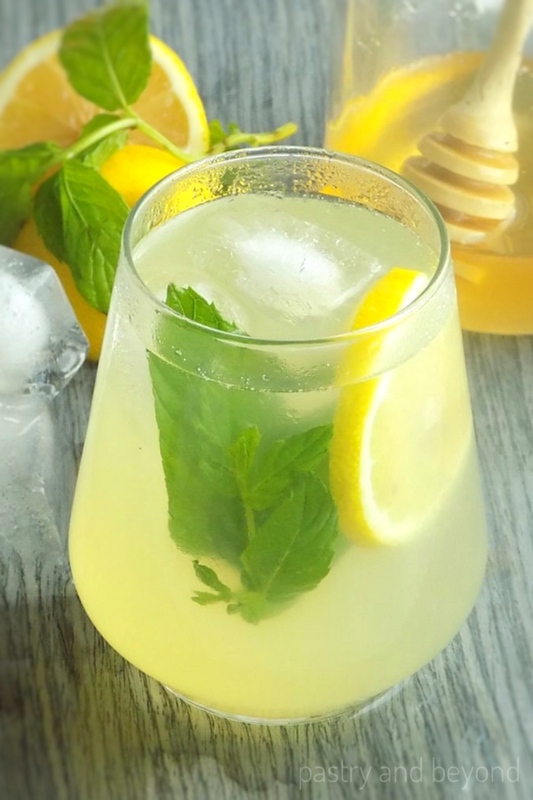 You’ll love this delicious and healthy honey lemonade with mint. It is so refreshing and easy to make! 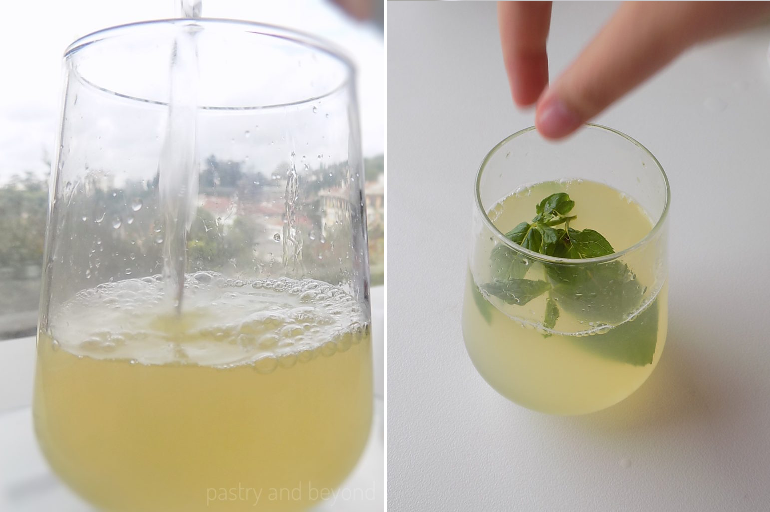 Today I am sharing a refreshing drink, lemonade with honey and mint. 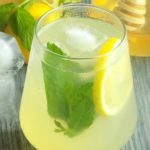 I can drink lemonade any time of the year but cold lemonade is especially perfect for those hot summer days. I use honey to keep my lemonade on the healthy side. 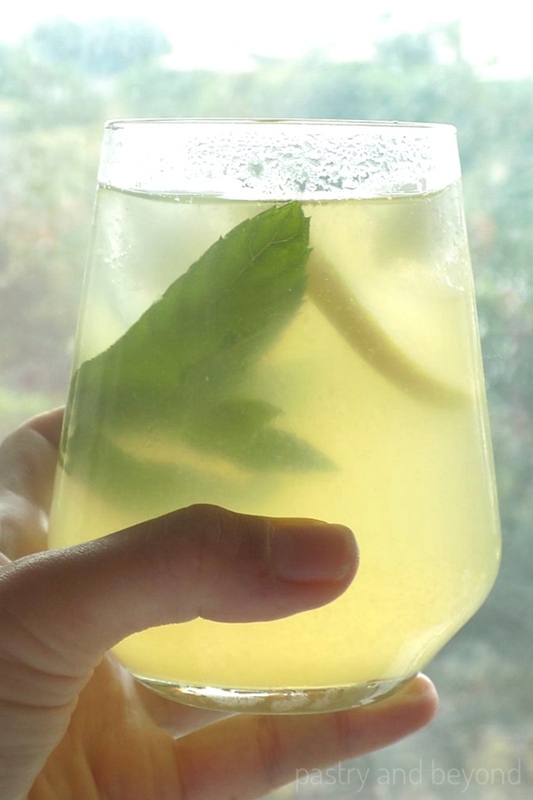 Fresh mints make this sweet and tangy healthy drink more refreshing! 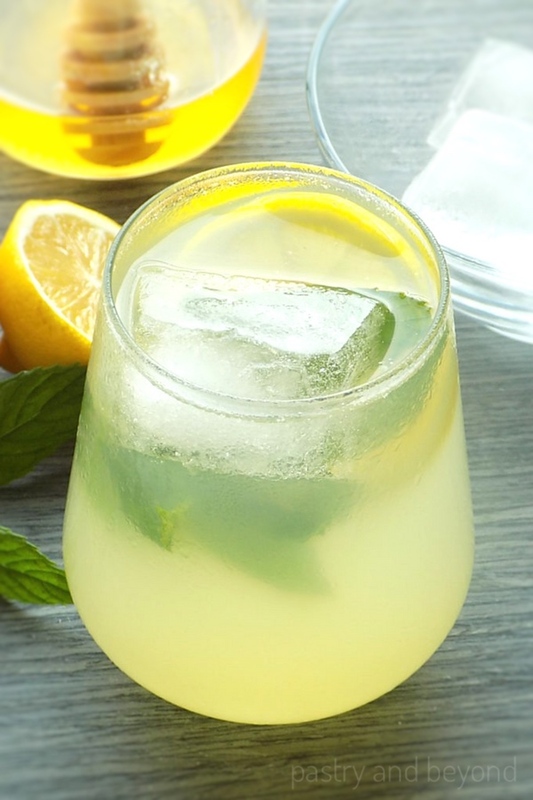 It takes less than 5 minutes to make this lemonade. I share my recipe for one but you can easily make it for a crowd. When I feel like I am getting sick (or I am sick), I make lemonade because of its protective benefits. Lemons- It is rich in Vitamin C and protects our immune system. It helps to reduce the cold and flu virus. Honey-Rich in antioxidants, boosts the immune system. An easy remedy for a sore throat. Mint- Again, rich in antioxidants and improves the immune system. Prevents memory loss. It helps to relieve stomach pain. 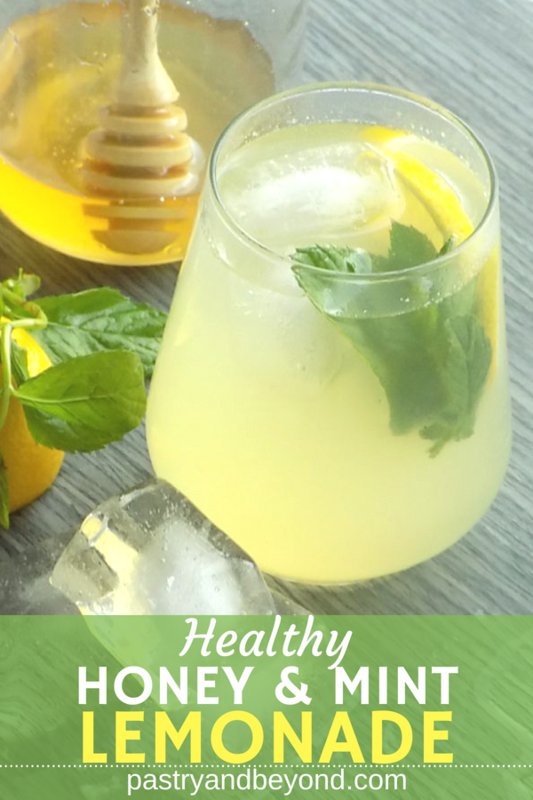 Health Line’s articles: benefits of lemon, benefits of honey, benefits of mint. 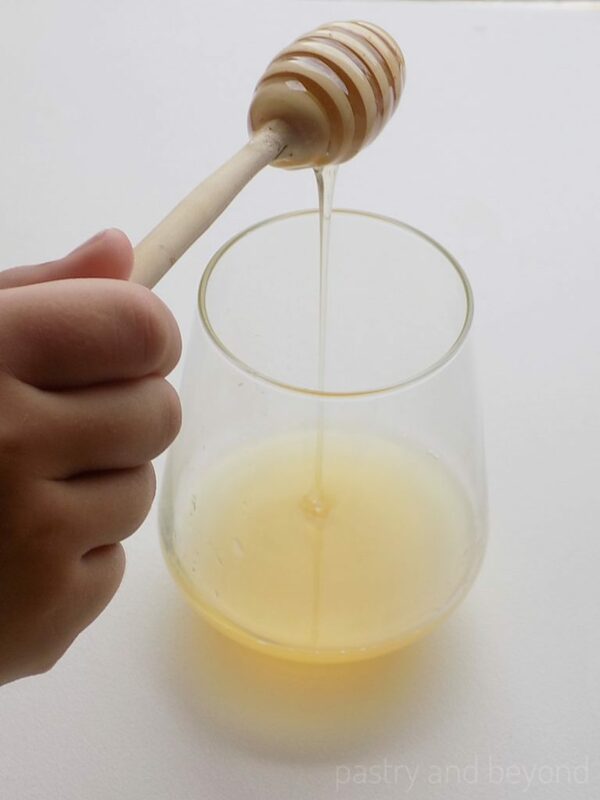 If you are making a single serve, pour it into the glass and add honey. 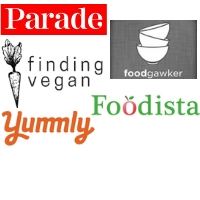 Mix them together. If you are making the lemonade for a crowd, pour the lemon juice into a jug and mix with honey. Add the water and give a stir. Then add the mint leaves. Keep in the fridge to let it cool and absorb the mint flavor. 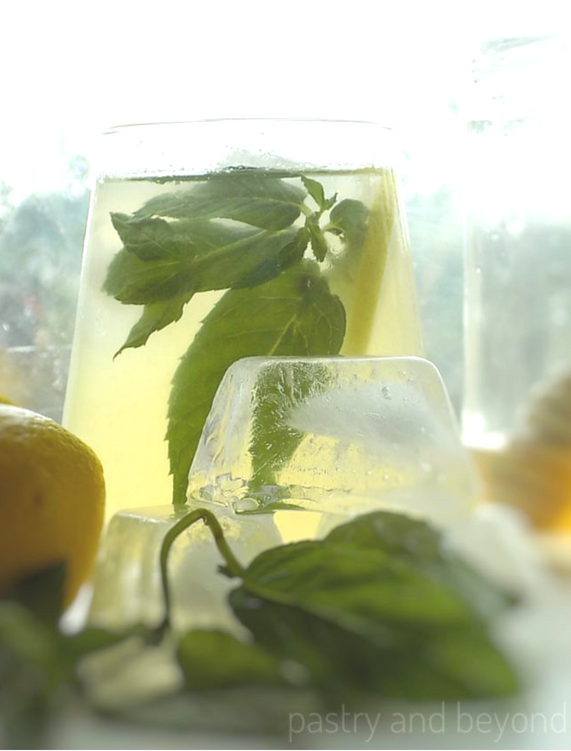 When you are ready to drink, you can add a lemon slice and ice cubes to make it a summer, refreshing treat! My niece was impatient to drink her lemonade. She enjoyed it so much. 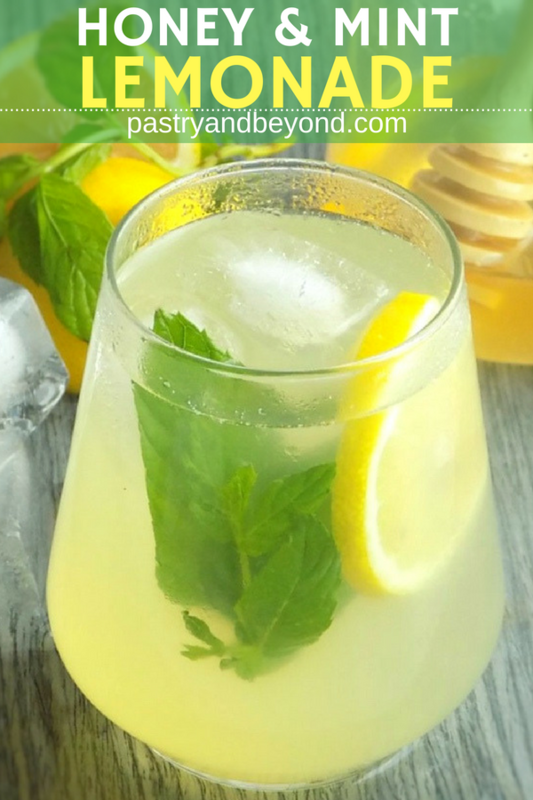 I hope you enjoy this lemonade recipe as much as we do! 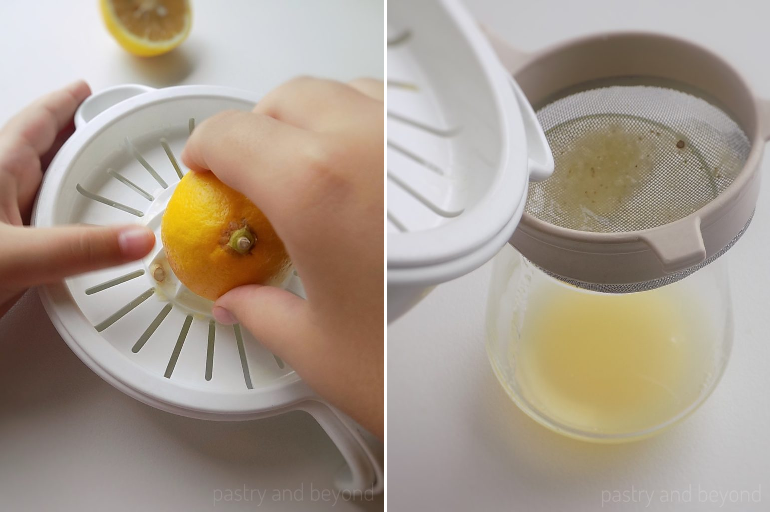 How Can You Easily Get More lemon Juice? 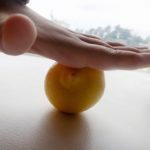 Roll the lemon back and forth on a counter with some pressure before cutting. You’ll get more lemon juice when you squeeze! How Can You Mix In Honey Easily? After you squeeze the lemon, mix it with honey first and then add the water. If you are sick, let the juice absorb the mint at room temperature for some time and enjoy your drink immediately to get all the benefits! 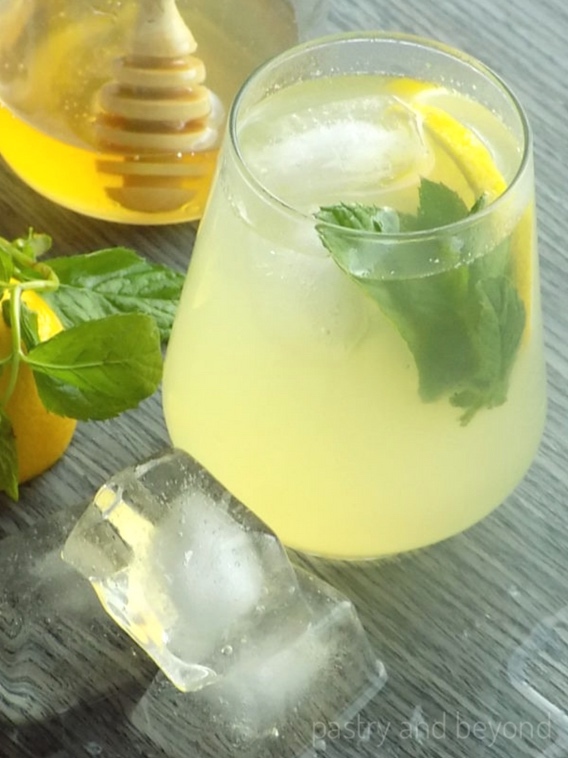 You'll love this delicious and healthy lemonade with honey and mint. It is so refreshing and easy to make! Wash the lemon. Roll the lemon back and forth on your counter with some pressure before cutting to get more juice. Squeeze the lemon. Strain the lemon juice if you like. 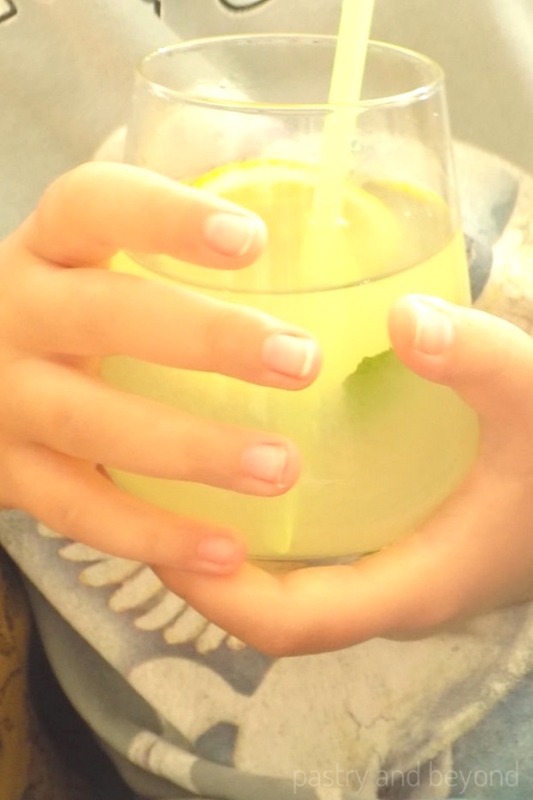 Pour the lemon in a glass( or in a jug if you multiply the amount and make for a crowd) and add the honey, mix well. Pour the water and stir. Add the mint leaves and keep in the fridge to let it cool at least for 30 minutes and absorb the flavors. Add the ice cubes and lemon slice and enjoy! If you like you can drink immediately but the aroma will be stronger as you keep the lemonade in the fridge longer. If you are sick, let the juice absorb the mint at room temperature for some time and enjoy your drink immediately to get the all the nutrients.